I'll be honest, most days dinner is kind of a make-what-you-want event around here. I don't often have the time or patience to stand over a hot stove and cook a long involved meal. Like most people, I'm always on the go, working on school work, or crafting up something for the blog, so I don't often prepare fancy meals with all the fixings. I'm more of a quick & easy type of chef. Actually, my hubby tends to be the better chef out of the two of us, but I've been working on my baking and cooking skills... mainly so I can share recipes with you, but also so we can eat and stuff. With him working full-time, interning, and in school most days we've had to adjust our schedules some which means I've had to step up my cooking game some nights. 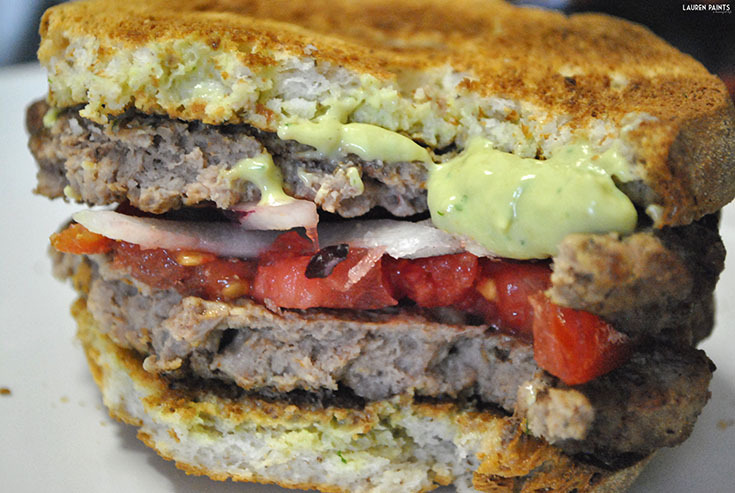 While we've had a couple of mishaps, today I'm sharing one of our new favorite QUICK and super easy meals, this Avocado Ranch Burger is outta this world delicious with 2 Ball Park® Flame Grilled Patties, stacked on top of delicious gluten-free bread, a tomato, a few slices of onion, and a delicious Avocado Ranch sauce drizzle - what more could you ask for? 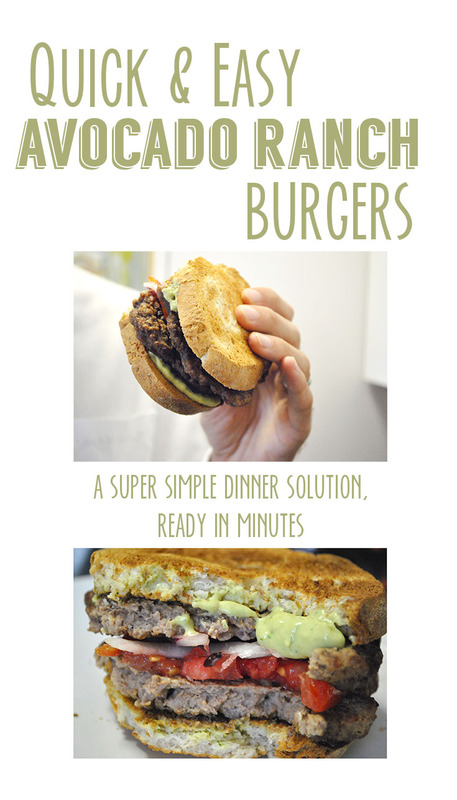 This flame-grilled Avocado Ranch burger is the one you've been dreaming of and you can make it in just a matter of minutes, with no grill required! To prep this delicious and simple meal, simply stick two pieces of toast in the toaster and two Ball Park® Patties on a plate, heat in the microwave for about a minute (adjust time according to the package directions). Now it's time to prep your homemade sauce, it's so simple to make and absolutely the perfect creamy addition to your Ball Park® Patties! You'll begin by halving and pitting the avocado. 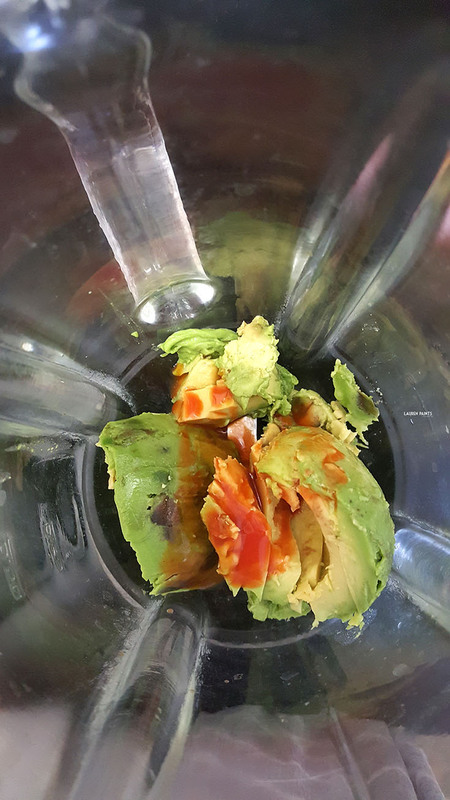 Now, place the avocado, hot sauce, and lime juice in a food processor or blender and blend until smooth. Add in the buttermilk, mayo, onion, cilantro, garlic, sugar, and salt & pepper. 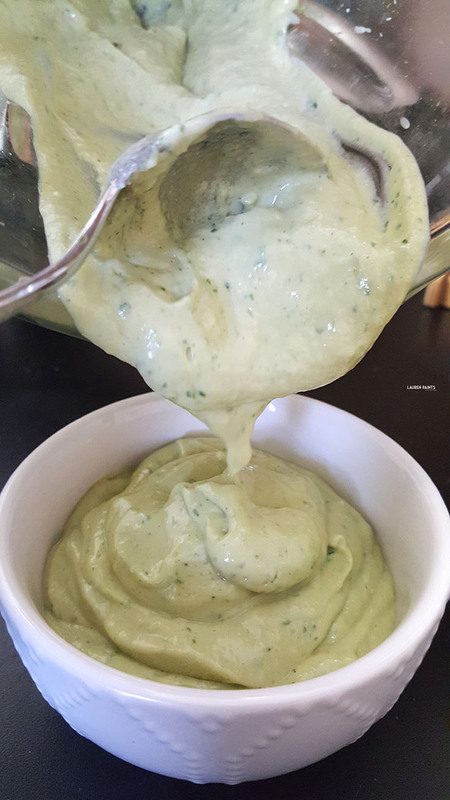 Blend until completely smooth, pulsing the ingredients until they are all thoroughly combined. Taste test & your set! 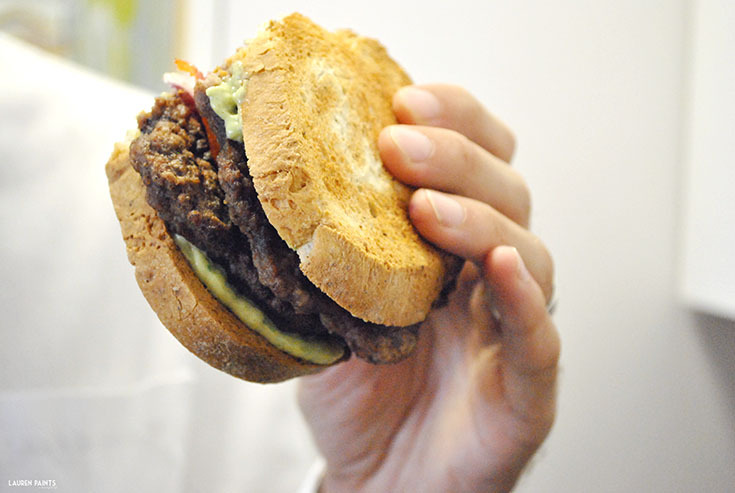 Once your sauce is finished, you'll apply a liberal amount to each piece of toast, placing the burger patties and toppings on the bread and then dinner is served! 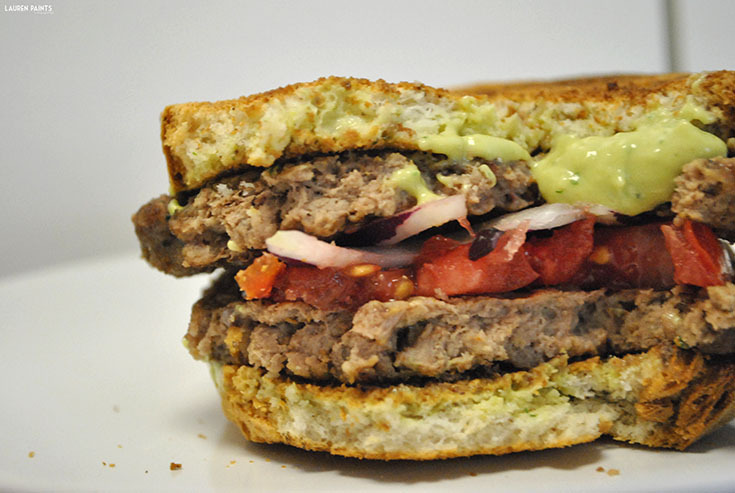 It's as easy as that to make an epic, unforgettable Avocado Ranch Burger... I won't tell anyone it's that easy to get such an impressive dinner on the table if you won't! You can pick up everything you'll need for this super quick and easy dinner at Publix. 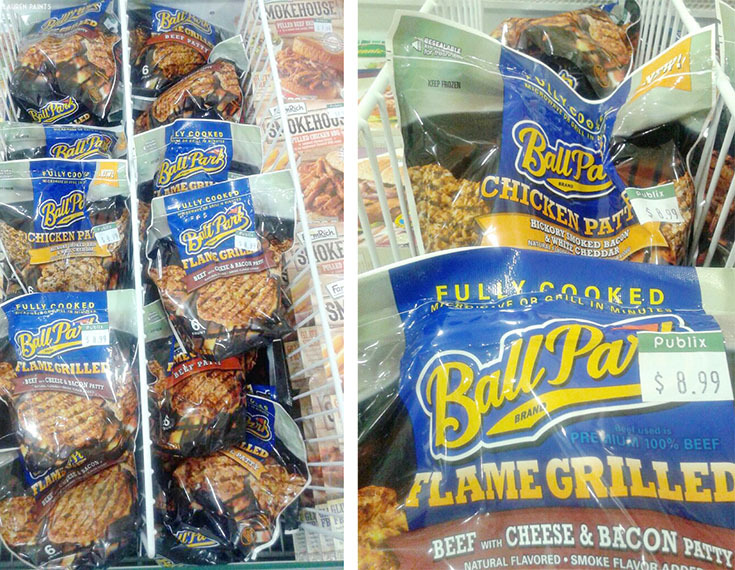 I highly suggest you grab a few extra packs of the Ball Park® Flame Grilled Patties in one of the seven different varieties available! 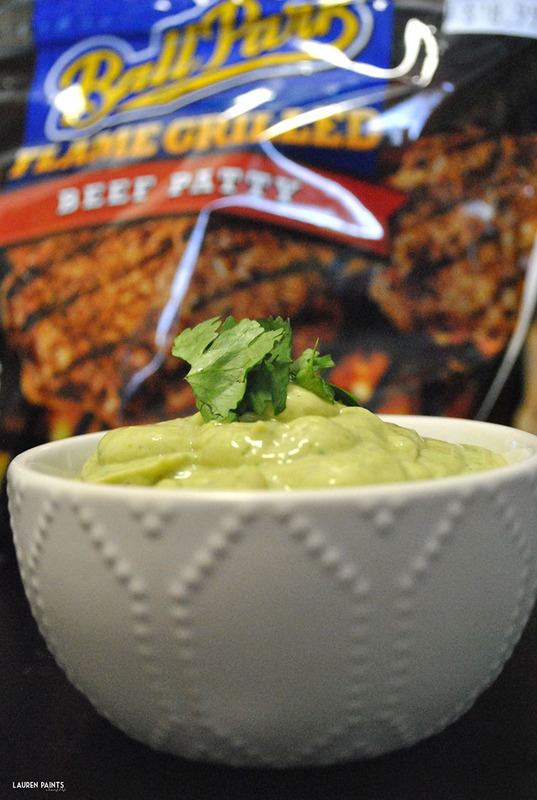 These Ball Park® Patties are the perfect way to treat yourself to a delicious meal without wasting any time! We grabbed a pack of the new Hickory Smoked Bacon & White Cheddar Chicken Patties and they are delicious! While you can have dinner on the table in just minutes with Ball Park® Patties, you can enter this sweepstakes even quicker! Check out all the details and enter to win the Hall of Flame Sweepstakes today! I'd love to know what you plan to do with all the extra time now that dinner won't take so long to prepare? Tell me how you'll spend your free time in the comments below!